D-ax is investing in PinMeTo, an online service that helps companies regain control of their brand and company information online. In addition to the trading group Axel Johnson AB, D-ax also consists of RECAPEX, the internet entrepreneurs behind match.com, Bookatable and more. Stockholm and Malmö – 31 March 2015 - PinMeTo’s service makes it possible for companies to establish a local presence online and achieve better results from both their investments in digital marketing, and when it comes to bringing visitors into physical stores. “D-ax invests in brilliant entrepreneurs who solve important problems at a highly technological level in an increasingly digitized world. PinMeTo is a shining example that also has an influence on retail from both a physical and digital perspective,” says Niklas Eklund, general partner of RECAPEX and responsible for the investment from the D-ax side. Via the company’s free service atwww.pinmeto.com, thousands of companies have already understood the size and complexity of their own problems. Of these companies, the business is now working closely with a smaller number of beta-customers prior to a broader international launch. “To help PinMeTo take the next step, we believe the newly expanded ownership structure can play an important role. From D-ax, we have financial and entrepreneurial strength stemming from previous journeys with Bookatable and match.com, for example,” says Niklas Eklund. PinMeTo has a product that solves a problem on a global market. Since going public in September 2014, the technical platform has been extremely well received in the customer segment. “We haven’t met a single potential customer who didn’t understand the gravity of the problem and that this is something they have to solve,” says Daniel Melkersson, PinMeTo CEO. Helps site owners such as shops, restaurants and hotels build a local digital presence and achieve better results from their investments in digital marketing. At present, company information in searches and on social media is often so erroneous and misleading that it is best described as disastrous. Many times it is not just wrong; it is also completely beyond the company’s control. This frequently user-generated information is problematic for companies: when anyone can say anything about anyone, the information is often wrong. The problem has become so large that companies are not only missing out on marketing opportunities; they are also losing customers and risk losing control of their brands. A partnership between trading group Axel Johnson AB and RECAPEX, the entrepreneurs behind Bookatable, match.com and more. D-ax aims to invest in digital projects and innovative companies primarily in the Nordic region. 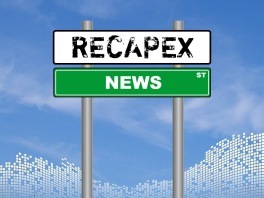 The partnership combines Axel Johnson’s retail and service experience with the network and digital business skills of RECAPEX.